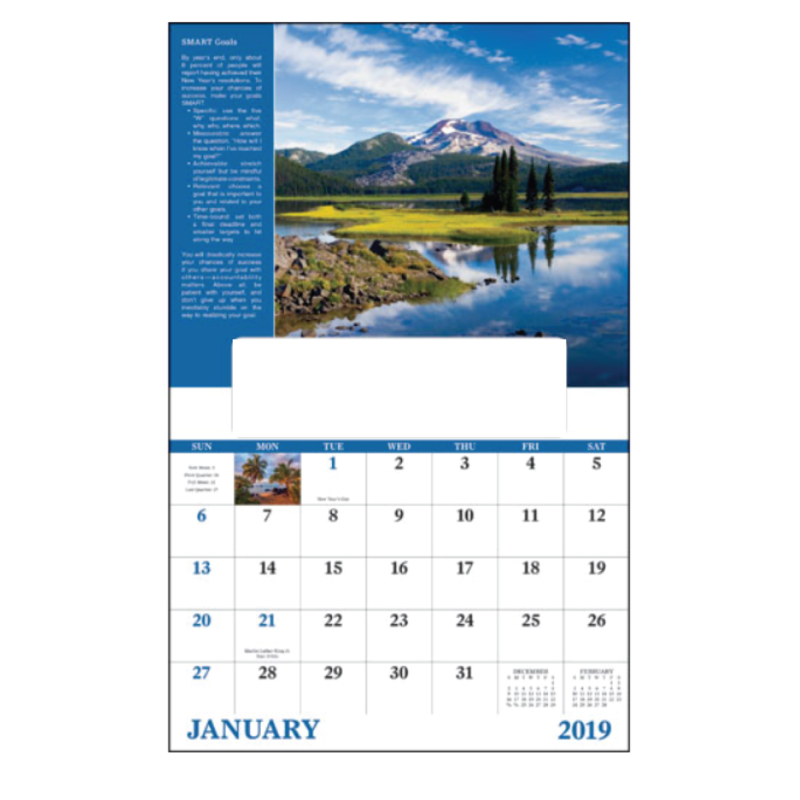 13 month calendar with December printed on backmount. High quality imagery of majestic natural wonders plus healthy living tips. Imprint Area: 7.12" x 1.63"